Multiple dates in June, 6:30 p.m.-9:30 p.m. Paint while you drink Washington wines. 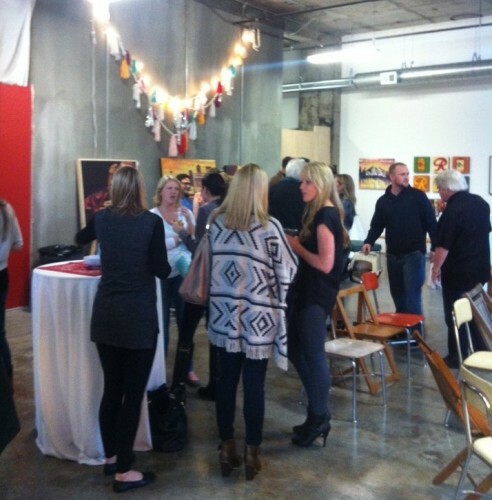 One glass of wine is provided, as well as all the supplies and instruction for your art piece. Held at the Art House Cafe. Tickets are $40. Purchase tickets here. June 3, 6-8:30 p.m. Barb’s BBQ Soul Cuisine. Learn how to make beef brisket, baby back ribs and more. $45 per person. Call 360-754-1448 to reserve. June 6, 9-11 a.m., 1-3 p.m. Learn to cook with onions in all kinds of ways. Free. Call 360-754-1448 to reserve. June 6, 6-8:30 p.m. Hors d’oeuvres for Outdoor Entertaining. $45/person. Call 360-754-1448 to reserve. June 22, 6-8:30 p.m. No-Li Brewery Dinner. Five beers paired with food courses. $65/person. Call 360-754-1448 to reserve. June 24, 6-8:30 p.m. Gluten Free Italian. Learn to make gluten free Italian favorites. $45/person. Call 360-754-1448 to reserve. June 27, 6-8:30 p.m. Grilling with Barry “CB” Martin. $45/person. Call 360-754-1448 to reserve. June 1, 10 a.m. Teas of Samoa. Asia Pacific Cultural Center. Call 253-383-3900 for reservations. June 6, 10 a.m. Indian Chai teas. Asia Pacific Cultural Center. Call 253-383-3900 for reservations. June 12, 7 p.m. Doyenne wines by DeLille Cellars paired with five courses at Pacific Grill. Tickets are $75 (includes tax) and are limited. Call 253-627-3535 to reserve. June 20, 6:30 p.m. Wines from Produttori del Barbaresco paired with Piedmontese dishes at Morso Wine Bar. Tickets are $100/person, excluding gratuity and tax. Call 253-530-3463 for tickets. June 21-23. Friday noon-9 p.m., Saturday and Sunday 10 a.m.-5 p.m. Downtown Puyallup in Pioneer Park. Lots of food vendors, entertainment and more. Free. June 22, 1 p.m.-10 p.m. There will be more than 35 Washington State brewers, as well as local food trucks and live music. On Broadway between 9th and 11th. Tickets $5 (designated driver), $25 advance and $30 regular. Includes 8 tasting tokens and collectible tasting glass. Buy tickets here. June 22, 5:30 p.m.-8:30 p.m. An elegant evening in the rose gardens at Point Defiance Park. Live music, wines and beer, appetizers and an auction to support Great Metro Parks Foundation. Tickets are $100/general, $125/VIP, and can be purchased here. June 26, 7 p.m.-8:30 p.m. at My Cheese Shoppe in Puyallup. My Cheese Shoppe and Puyallup River Alehouse will educate you on beer and cheese and how to pair them. Enjoy pours of Puyallup River Brewing’s beers paired with specialty cheeses. Tickets are $30 and can be purchased here. June 28-30, Friday and Saturday 11 a.m.-9 p.m., Sunday 11 a.m.-8 p.m. Tons of food vendors, as well as The Taste Cooks!, with cooking demonstrations by local chefs and culinary experts, as well as a Taste Cook Off! with local chefs competing with three mystery ingredients. All events are free. June 30, 6 p.m.-8:30 p.m. Chef dinner at Adriatic Grill. $65 per person, tax and gratuity included. Call 253-475-6000 for reservations. Walking around Downtown Tacoma this weekend, I noticed a change at Pho 701 Bistro and Bar. 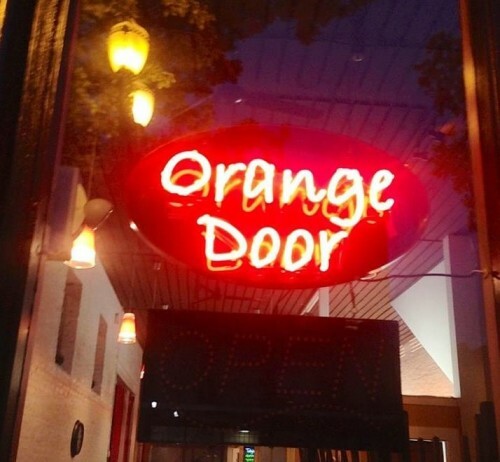 There were new signs in the window, and a new name, the Orange Door. 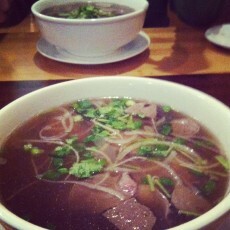 Immediately, I hoped Pho 701 had not gone out of business. There had been quite a few business changes in that space before, and I’d hate to see it happen again. Pham also explained to me there is an updated menu, but the pho is still present. New items include wok stir-fried drunken noodles, Shanghai noodles (wok fried lo mein noodles), chow mein, provincial clay pot pork and eggs, crab rangoon, wonton soup, as well as more vegan items. I haven’t eaten there in a few months, but previous visits have included friendly service, clean decor, a relaxed atmosphere, decent prices and tasty food. 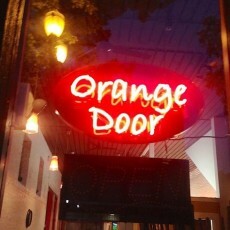 Orange Door | 701 Pacific Ave, Tacoma, WA | 253-627-9225 | Mon.-Sat. 11 a.m.-9 p.m. 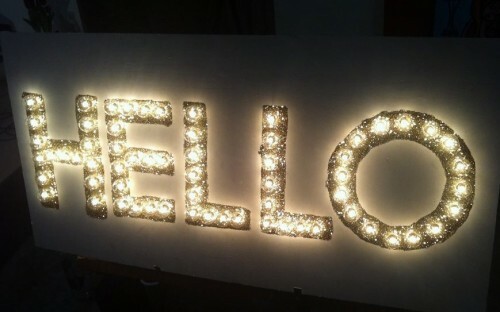 I may have never been this excited to write a post. You are reading the title right: there are gorgeous, authentic French pastries in Tacoma, thanks to Abeille Baking and Bianca Sanders. 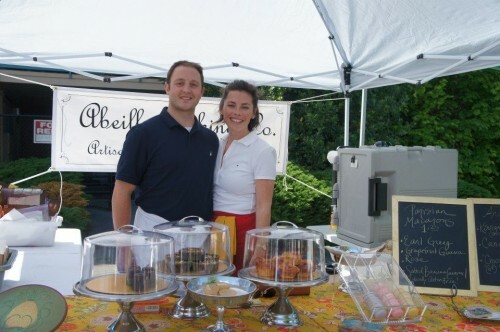 I almost could not believe my eyes when I saw her and husband Casey Beach at last week’s 6th Avenue Farmers Market. There were their smiling faces behind a table of colorful macarons, pistachio tortes, kouign amann and an (unfortunately) sold-out tray of canelés. Once again, you read that right – canelés. When I lived in Seattle, these were rare sites, much less in Tacoma, where I was starting to wonder if these French pâtisseries would ever find their way to our part of the state. Sounds like the right idea. 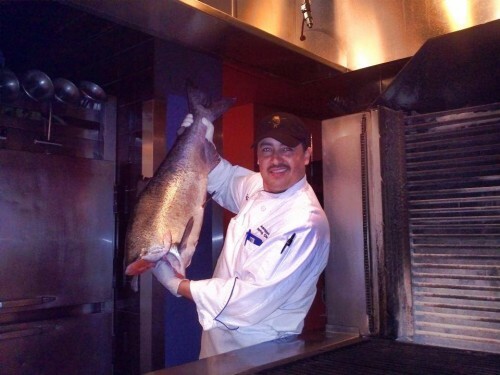 It’s time for Copper River Salmon in the South Puget Sound area, so get it while you can! Area restaurants have Copper River King Salmon and Copper River Sockeye Salmon on their menus, usually on their daily fresh sheets. You might even want to purchase some uncooked from a local store and make your own creation at home. These salmon are prized for their richness in Omega-3 oils and seem to incite a frenzy of demand and attention all around the Pacific Northwest. The below restaurants and markets have reported having Copper River Salmon at some point since the season began. Quantities are limited, so definitely call ahead if you have your heart set on it. And as you can see, it’s not a long list! Tacoma, Olympia and the rest of the South Puget Sound are home to lots of fabulous food, cooking and restaurant bloggers and writers. From where and what to eat, to news, events and what to cook, here’s a list of my favorites for you peruse and enjoy. Fresh Scratch– Cooking and more from Olympia. TNT Diner– Sue Kidd, the food critic for The News Tribune, covers all things restaurant in the South Puget Sound. Real Food NW– Cooking, baking and gorgeous photography in Olympia. The Plum Palate– Olympia food events, cooking, stories and lovely photography. A Big Mouthful– My other blog, focused on cooking and recipes from local, fresh ingredients. Roxanne Cooke– Although primarily a photography blog, Roxanne shares food photos, recipes and musings on other things Tacoma. Gritty City Food– Tacoma restaurant blog with great photography and videos. Jason Sipe– Tacoma restaurant blog with reviews. The Weekly Volcano/NorthwestMilitary.com– South Sound restaurant reviews, food features, news and events. I also contribute to this as a food and restaurant writer. Feed Tacoma– A Tacoma forum sharing thoughts on local restaurants and more. 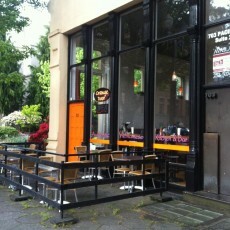 Vegan Moxie– Though Dawn now lives in Seattle, the blog contains lots of posts about vegan options in Tacoma. Showcase Magazine– South Sound restaurant reviews and food stories. South Sound Magazine– South Sound restaurants and food news and stories. Smiling Hearts and Butterfly Kisses– Writer Jackie Casella shares musings on food in Tacoma. Chef Jasmine– Chef and caterer Jasmine Biernacki shares recipes from Gig Harbor. Tofu-N-Sprouts– Vegan recipes from Tofu Mom.